Belfast Photo Festival is one of the leading event amongst the photography and Visual Arts community in UK. This festival was initially launched in 2011 and from hence has attracted 80,000 visitors from across the world. This is an annual event and you can find a variety during this festival like exhibitions, talks, symposiums, workshops, screenings, masterclasses, portfolio reviews and tours. 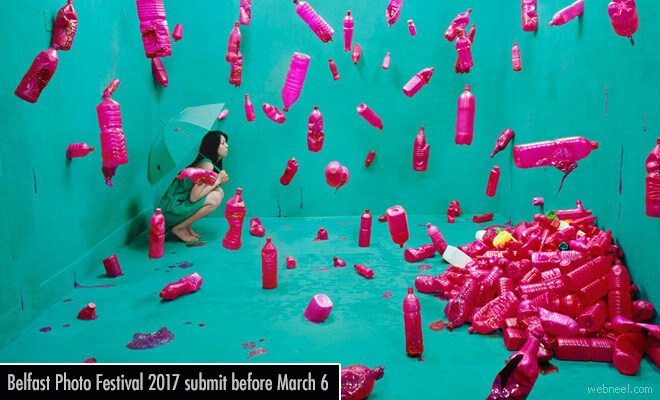 If you are a photographer, you can submit your entries online before March 6, 2017 and win exciting prizes. Cash prizes include $1200, international exposure and various other benefits. There is no restriction to the theme as long its photographic or lens-based. You can submit as an individual image or send as a collection after paying a minimal fee.